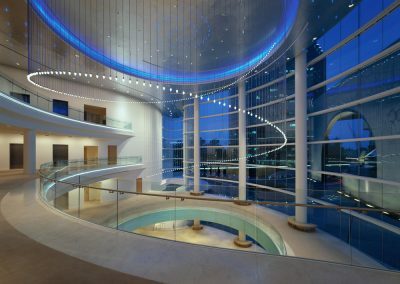 Gruen Associates was the Executive Architect for the new 2,000-seat Renée & Henry Segerstrom Concert Hall and adjoining 500-seat black box Samueli Theater with ancillary facilities located across from the former Orange County Performing Arts Center (now Segerstrom Center for the Arts). The concert hall is a “shoe box” design with NC-1 level acoustic isolation. The acoustic design inside the hall features movable acoustic components including acoustic canopies, movable reverberation chamber doors, acoustic banners and curtains and reconfigurable stage lifts. The project, designed by Pelli Clarke Pelli Architects, commenced construction in September 2003 and opened September 2006. 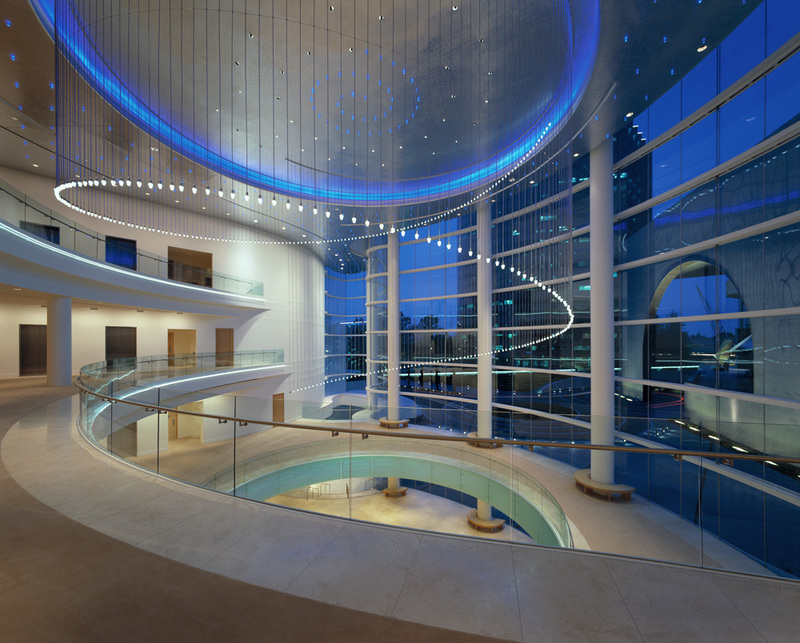 The landmark structure was designed to have unparalleled acoustics tailored to symphonic music. Defining a large plaza, the building is an elegant and vibrant urban gesture and sculptural form.